Just beat the Wall of Flesh in Terraria 3DS. Feels good man. PlanteraBlade and Daikonradish like this. Began trying to play the 3DS version seriously. So far I'm up to the point where I need to be fighting the WOF. What about a donut conplex? Bought Soundtrack Volume 3 from Bandcamp. IRL Bloodmoon happening soon, be on the look out for suspicious looking eyeballs and zombies galore. Anyone wanna trade some Hallowed keys for some other key? I'll take a crimson or frozen one preferably. Just got another hallowed key. I didn't know you had a website. Anyways, happy July 4th to you too! RNG Loves me today apparently. That's the third key today! https://u.teknik.io/7XdmGv.png 2 hallowed, and a corrupt key at home. 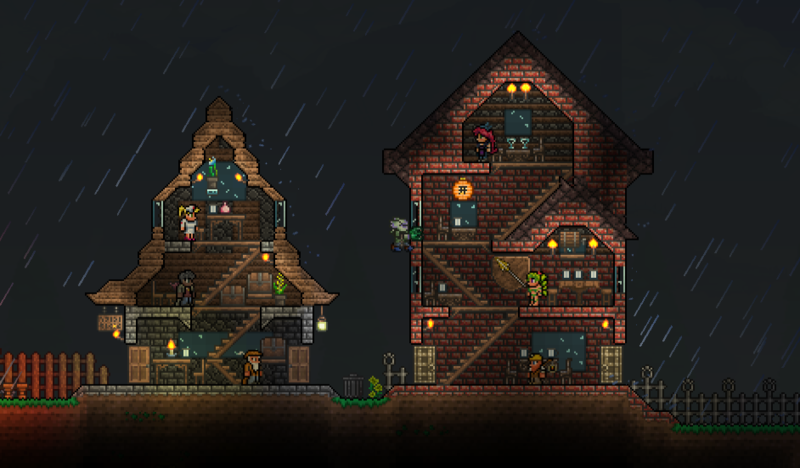 Thinking about working on my Terraria builder class thread again. I am a humble electronic donut my child. hello sir! Spinning donut, thing. Hey, I have 2 questions, but I will ask one of them somewhere else. It says at the bottom of some of your posts 'Want some of my maps?'. When I click on it, it takes me to the email and makes a draft of a map request. The only problem is that I don't know what maps you have! I don't know if I'm requesting for you to build me a map, or if you already have maps that you give to people. Can you please tell me? Thanks. switched to firefox from chrome after ~4 years of being a chrome user. No regrets. bad_news and Seeabass like this. @Razor Knight The way I have it configured now it seems pretty alright for the most part. I mean- I pretty much downloaded all the plugins and add-ons I needed and still save like- a gig of memory that chrome was chewing up before. It's still a massive improvement. I might look into waterfox though at some point. @Razor Knight I'm running 64 bit Windows 7 - but I'm sticking with Firefox 36 because I can get that 60FPS in Youtube with it, and that's kinda nice. See this thread if you want to know about me.